Spring has not come in Greece! Rainy, windy days are so common and we are so anxious for sprring to finally come! I decided to make a recipe that would bring spring in my kitchen using one ingredient that I particularly love, tomatoes. So I made a vegan tart that my hubby considered a work of art. Cherry tomatoes are really so cute! It is easy and quick to make with simple ingredients. And of course it is summery and beautiful! I used Lucia tomatoes. This is the first greek branded tomato that has already conquered the greek market and exports their delicious tomatoes abroad as well! The tomatoes are produced in a high tech glass covered greenhouse. 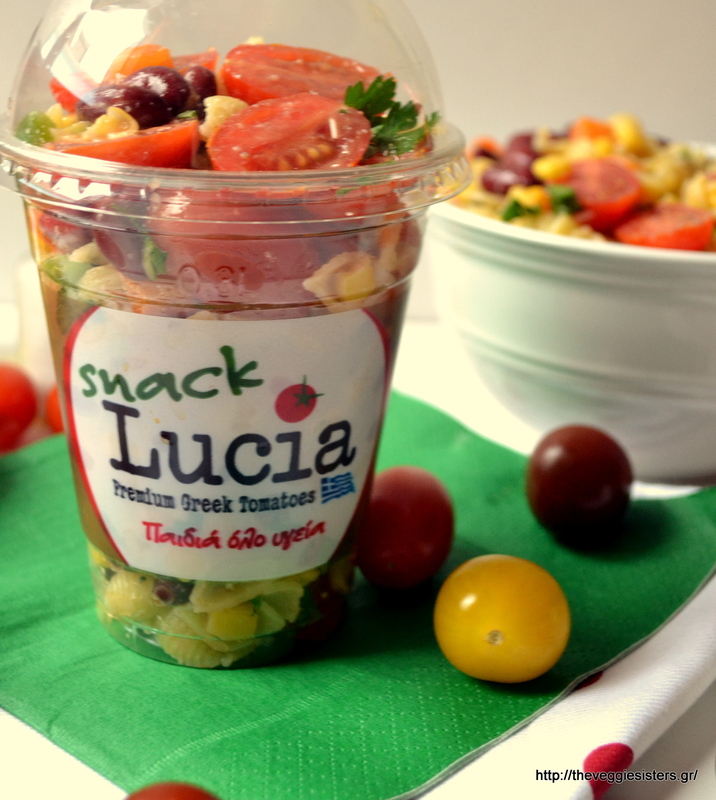 I was realli impressed by the Lucia snack cherry tomatoes which are sold in a very handy container. You can make a salad, a light meal and take it to your office or give it to your kids at school. For more information visit their interesting website. Now let’s get cooking a healthy and scrumptious tart with these amazing Lucia tomatoes! For the crust click here. In a blender place peppers, walnuts, garlic, 2Tbsp olive oil, herbs, salt and pepper. Pulse until creamy. Transfer pesto in a bowl and combine it with mashed potato. Spread the pesto mixture on the crust. Lay zucchini slices andthen cherry tomatoes. Brush them with olive oil and season with salt and pepper. Bake in preheated oven at 180C for 45 minutes. Allow to cool before serving. Enjoy! 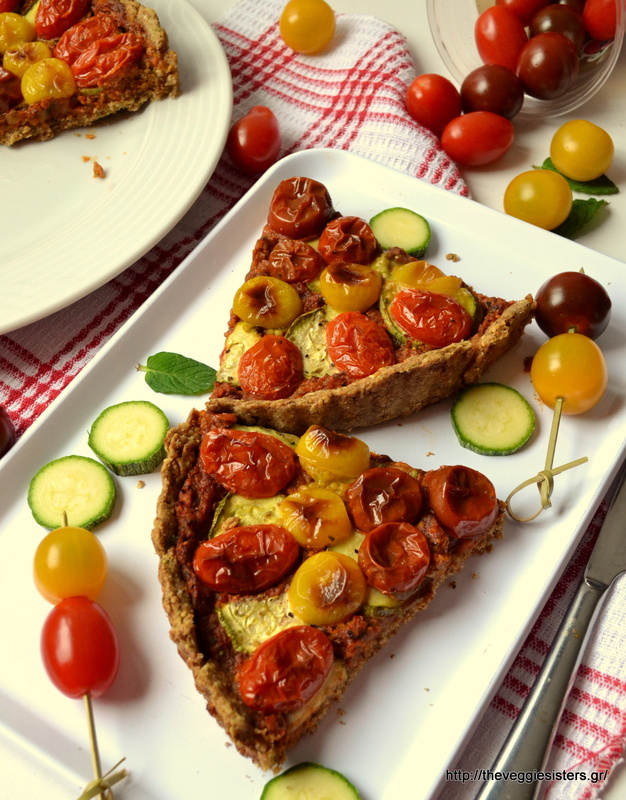 Share the post "Vegan cherry tomato pesto tart"
Next PostΝηστίσιμο παγωτό με ένα μόνο υλικό! – One ingredient vegan ice cream!